there's something about trench coats that adds a sophisticated look. 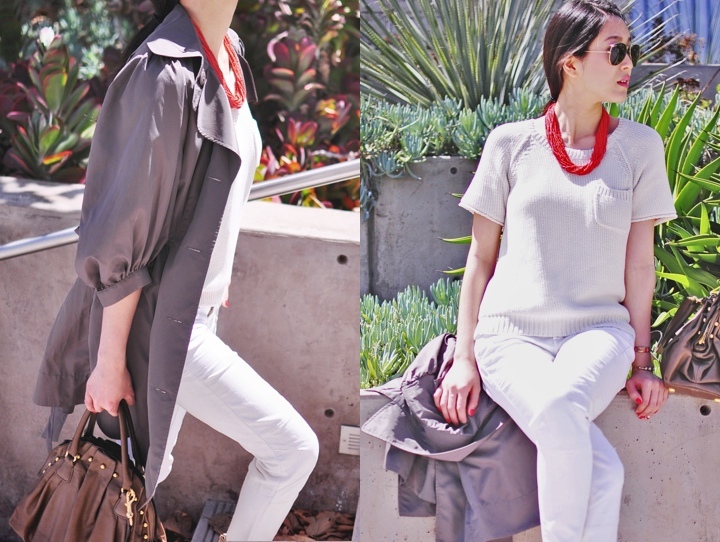 a lightweight trench is perfect for LA during the slightly breezy days and for chilly summer nights. would love to add this one or this one to my collection! well, i'm keeping it short today! love the pop of red in the necklace such a statement. the red mani and pedi is perfection with the all white and those shoes! this is my fave outfit post of you!!!!! stunning and gorgeous xo! Great take on a classic - I love the sleeves!